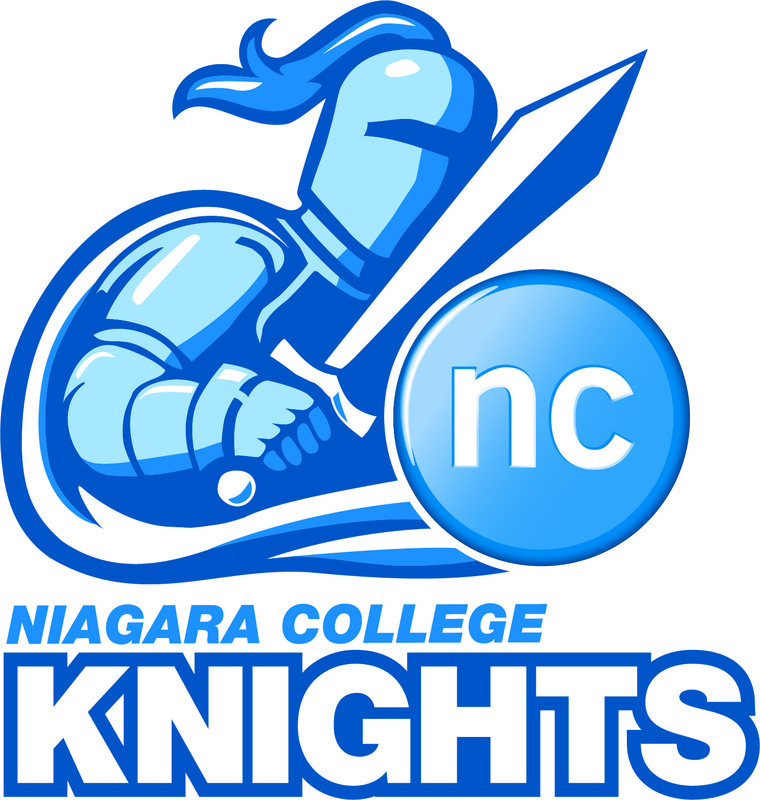 From the first day of fitness training in March 2013, I was glad I returned to coach the Niagara College Knights Varsity Women's Soccer Team. The in-season phase of our program ended with a last minute 2-1 loss to Lambton College on October 6 at our home field. I was coach of the women's program from 2008-2010 then left. I returned to the college in 2012 to coach the men, then took on both teams this past season. We had a job to do. The team had 4 points and 3 goals combined over the previous 2 seasons. Their combined goal differential was -64. They had credible coaches during that time that I respect, so I cannot speculate as to what happened. But I did watch most of their games last season. My first call was to Kristin Campbell, one of the assistants with us when I coached last time. Kristin was our indoor team MVP in 2009 and has a good understanding of the game. She is a very active 12-month player on the women's soccer scene. She is just as passionate as a coach as she was as a player. Gary Condon has been the assistant coach for this program for the last two coaches. Gary has a long soccer resume, a lot of coaching experience on the women's side and a former student-athlete himself while at University. Gary and I have never worked together but I like him, we get along well and he was a good way to keep some continuity from last year to this year. Most importantly, he's a good coach! Goalkeeping coach and I can think of nobody else when looking for guidance for our keepers at training and in competition. Gerry has seen a LOT of high level soccer, as a player and coach. This season our goalkeeper was on top of her game and her working relationship with Gerry was very good. This year we also brought in Kelly Slappendel. Kelly has a keen interest in coaching and played for us for two seasons. As our captain in 2009, she was recognized as the OCAA Defensive Player of the Year. She is a good fit for our program and her experience in the women's league is showing. After our season was over she came to help us with the men during our playoff run. All of our coaches, and my bosses, are comfortable in sharing their thoughts and I appreciate that. The last thing I want is a coach standing next to me agreeing with everything I say. A "yes man" is never useful to anybody. Emma Young served as our student-manager and did a great job! How we hired her is a good story she can tell her kids. Let's just say a good first impression is very important. Amy Olar was our Athletic Therapist for our season and she became a routine part of our conversations during the season. The season looked up 4 months before kickoff when three former players told me they were coming back after a 2 year absence. Some of last year's players returned while a few other chose not to play. I was sad to hear that, but I didn't chase them. It's such a big commitment, you have to want to play and be motivated from within. Increased fitness level and work rate during games. Enjoy wearing the Niagara College uniform. Our attendance at training was strong. We trained a lot and the energy was good. Our work ethic, as a team, was very very good. Kristen took the lead on our fitness (for both teams) and did a great job. We worked to play intelligent soccer. We had times where we fell into habits and panicked under pressure but our good moments came often. Our team chemistry was good. Everybody worked hard to play well, kept positive and contributed to the conversations we had as a team. To instill a love for the game that encourages these players to be a lifelong player. As we say in LTPD "Active for Life". To develop a connection/network with local woman's soccer programs so our players have a place to play when they graduate. I became acquainted with some of the players a little last year and I enjoyed my conversations with them. When this opportunity came up I was being selfish. I knew that being in the company of this team (players and coaches) would be time well spent. We, as coaches, were motivated by their willingness to learn. The season started out strong with a 2-0 win and spirits were high. In one game, we exceeded the last 2 seasons combined. I knew we shouldn't get too high, but who was I to burst bubbles? Our second game was against 3 time defending champion, Humber College. We held them to 0-0 until half time. They were good, our keeper was playing well and we created chances. The start of the second half saw 2 quick goals against and reality set in, but the girls stayed positive. We all saw that game that we had a real soccer team on our hands. Hard working, gritty and demanding of themselves and each other. The coaches were impressed. I will say that last year they walked into games expecting to lose. Almost hoping to not get pumped. This year they expected points. At the very least, they expected to compete. And compete we did. Except for one game, we were very present on the field and worth watching. Two of our one-goal losses came in the last 5 minutes. We didn't lack that 1 or 2 good players. We lacked the experience of being in the thick of a game into the 60th, 70th or 90th minute. When tryouts started I had one major criteria; if you couldn't run, you will not be selected. We ended up carrying 19 players, only one goalkeeper. Some players were better than others, but they could all run. I will say we lacked depth. We had a season-ending injury in game 2 and spent the rest of the year plugging holes. We suffered injuries to a number of player who missed games here and there which caused more juggling. Everybody produced, but we did have strengths in certain areas that were lost for various games. How can the coach of a 1-1-6 team smile, you ask? You had to be there, as we had a nice thing going on. The players were supportive and they made coaching enjoyable for the staff. They came to work. With a little experience and more depth we could have easily been 3-4-1 , even 4-3-1. And if you don't think experience as a program matters, you're dead wrong. We made note of a few things during the season that I do not share for tactical reasons, but the adjustments made put us in a position to win 3 of our last 4 games against teams who ended up in the playoffs. Improved academic monitoring to ensure our student-athletes are not falling behind in school. This has always been there (and effective), but it's been improved even more. Another friendly match or two before the season starts. Work diligently to make sure each player is playing at a decent level during their summer season. The girls said they wanted to hit the weights during the off-season. That will be addressed after Christmas. A social/team-building gathering of some sort before the season starts. My "feel good" outlook will have to be coupled with positive results at some point. The school expects it. The players expect it. The coaches expect it. I expect it. After the Christmas break we will start to convene weekly for fitness and futsal. It's a great way to prepare them for the summer, re-enforce what we worked on during the season and a chance to invite recruits to meet the players. I hope our graduating players will consider the soccer program a positive component of their overall post secondary experience at Niagara College. If it wasn't, I can't consider my own season to be successful. Our program took a step forward this season. The institutional support we receive exceeds most schools. Standards and expectations are in place. 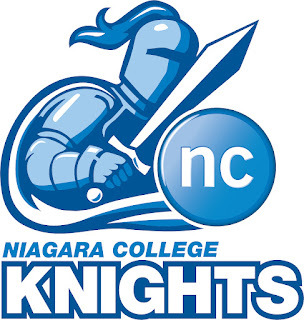 We have a good working relationship developing with a local woman's team and we have encouraging interest from players looking to come to Niagara College for their post secondary education. With the recent announcement of a new on-campus field, I expect the excitement and interest to jump another level. P.S. As a coach who is also passionate of the state of the game in Canada, I also have the quiet goal of encouraging these women to become coaches. We need more females coaching. To have two former players coaching with us makes me very proud. Both are interested in formal coaching education and they both have the right personality. Our goalkeeper has given of herself with our young keepers in Welland. Several of our former players are coaching in their communities. I think it's a beautiful thing for them to do and a beautiful thing for the young players they coach.